This Christmas, make an over-the-top statement with our lush and lavish array of white Oriental lilies and red roses! 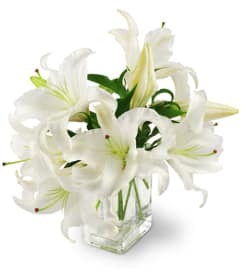 As a big "Thank You!" 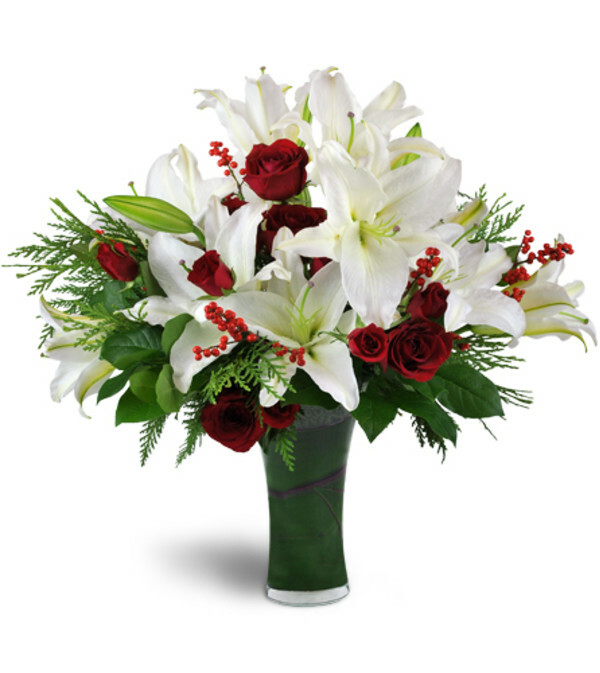 or to send your warmest wishes from far away, they’re sure to be delighted. 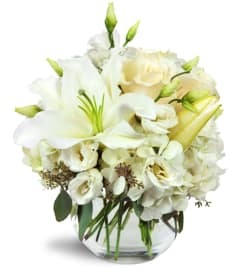 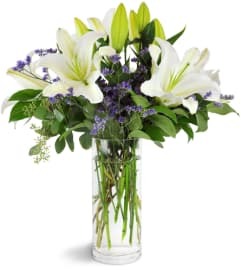 Multiple stems of pristine white Oriental lilies and red roses are arranged with spray roses, ilex berries, cedar, and more in an upscale clear glass vase.